Phil Holman is President and Owner of Fourstar Connections, a 32 year old contract manufacturing company in Hudson, MA. Phil has 40+ years of experience in contract manufacturing, and is considered an industry expert in the manufacture of cable and harness products. 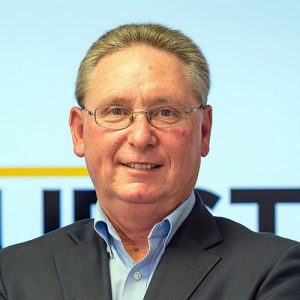 Prior to starting Fourstar in 1986, Phil started his career working as a quality manager for a contract manufacturing company, and then went on to manage a start-up company as VP of Operations, building automatic test equipment and bed of nails test fixtures. In 1981 he came back into the contract manufacturing industry as VP General Manager of a cable assembly shop that grew over time to become a significant player in the New England market as a tier-two Contract Electronics Manufacturer (CEM). Fourstar is positioned in the market as a New Product Introduction (NPI) partner with high tech OEM customers, and brings value to their customers by offering solution selling within their core competencies. By positioning the company as a partner with large original equipment manufacturers (OEM) Phil is hoping to significantly grow his business and improve his margins. Changing the culture of a 25+ year old company brings with it many challenges. Under Phil’s leadership, Fourstar has become a thought leader in Sustainability, using grant money from the Massachusetts Workforce Training Program to educate his management team in sustainable practices. This year, Fourstar has produced its first annual Sustainability Report, and is filing its first Carbon Disclosure Report. Over the coming years, Fourstar’s goal is to prove that it can drive a sustainable business plan that is more profitable, while decreasing the negative impact on the planet, and ensuring the future for our children. In his spare time Phil is actively involved in his community supporting multiple fundraisers, and volunteers his time as a member of the Operations Ministry Leadership Team as well as the Outreach Ministry Leadership Team for First Church in Sterling. How Would We Recognize “Sustainable Procurement” If We Saw It?